International students in Canada may have access to a wide range of financial aid options to assist them with the costs of studying in Canada. 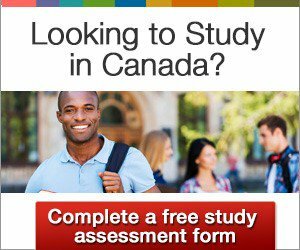 In order to be eligible for a Canadian study permit, a prospective international student is required to show proof of sufficient finances to support him or herself, plus any accompanying family members, while in Canada. Written confirmation of scholarships, bursaries, or loans may be submitted as proof of financial support. Many scholarships entail an application process. Due to the wide range of scholarships available in Canada or in a prospective international student’s home country, it is important to research scholarships individually. Eligibility criteria and application process may differ widely — for example, some scholarships may require an essay or references from teachers or employers. Other scholarships may be based solely on grades, sporting achievements, or other extracurricular activities. Prospective international students are encouraged to refer to institutions directly to find out more about available options. Financial aid granted on the basis of economic need is known as a bursary. As with a scholarship, students who receive bursaries do not have to pay the money back. Universities and colleges may offer bursaries to students who meet certain requirements. Students who apply for bursaries are usually required to undergo a needs assessment, and may have to provide information about their income, or their parents’ income. Applications may also be reviewed by a committee. However, international students may not be eligible for loans from provincial or federal governments, and may need to investigate private loans with banks. Several banks offer separate loans, credit lines, and interest rates for students. Individual institutions may offer further financial advice and resources for international students. Prospective international students are encouraged to contact universities and colleges directly to find out more about available options. Most international students with a valid study permit may also work up to 20 hours off-campus per week during the semester, and full-time during scheduled breaks. Find out more about working in Canada while studying.